As much as we yearn to explore, discover and immerse ourselves in the French culture (as well as the cuisine) when as travelers we come to the country of the Coq Gaulois (the Gallic Rooster), we also want to sleep well and know our vacation accommodations will enable us to rest well and recover from jetlag. Today I would like to share with you where I stayed and would highly recommend and how I acquired my accommodations. 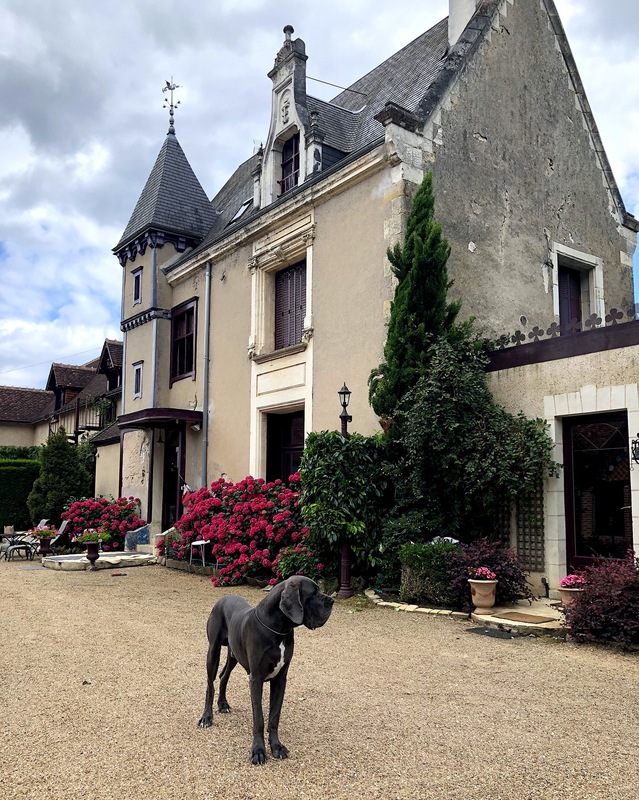 Staying both in Paris and in the countryside of the south, the west and the north, I have detailed posts on all of the vacation rentals (and one boutique hotel) that I am confident you will feel most at-home-away-from-home (just tell them Shannon from TSLL sent you ;)). First, what was I looking for as there are endless options according to budget, preference of size, location, amenities, etc. ? I am nothing but consistent, and when it comes to travel, I am as well looking for something simply luxurious. With regards to travel accommodations: I am looking for ease, cleanliness, personal touches, but privacy as well. I am looking for those home comforts that make me feel, well, at home (a soaking tub if possible, a working kitchen, a quiet neighborhood, proximity to Mother Nature, etc.). Ultimately, I am looking for some place I can truly relax as I often spend a few days at my accommodation to recharge. As someone who typically chooses to stay in vacation rentals and Airbnb, I intentionally chose a hotel to stay upon arriving in Paris and departing. 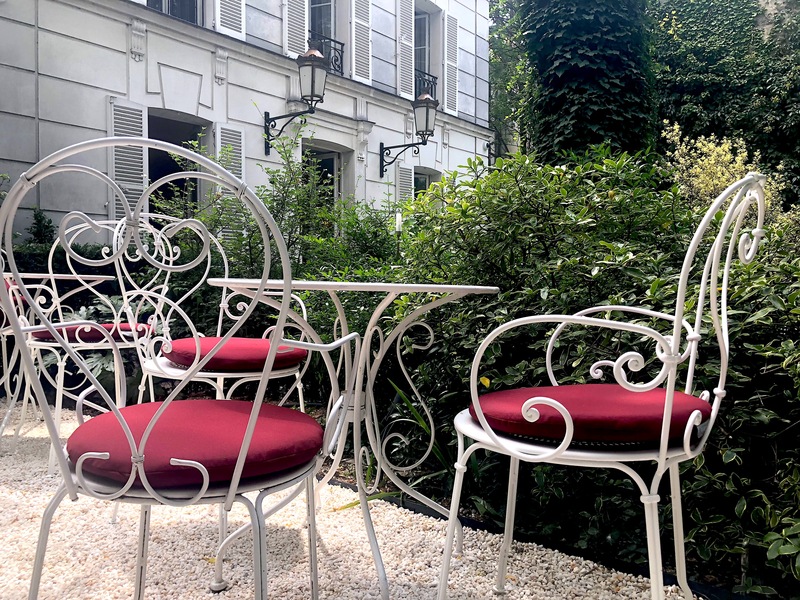 However, I still wanted a unique and welcoming experience, and so I chose a boutique hotel tucked away what felt like a garden in Montmartre. With a view of the Eiffel Tower from the entrance into the hotel, walking distance from Sacre Cour and expansive accommodations, along with a beckoning soaking tub, I knew I had found the place to welcome me to Paris. Learn more about my 3-night stay (two upon arriving, and the night before I left) here in a detailed post. In the Loire Valley . 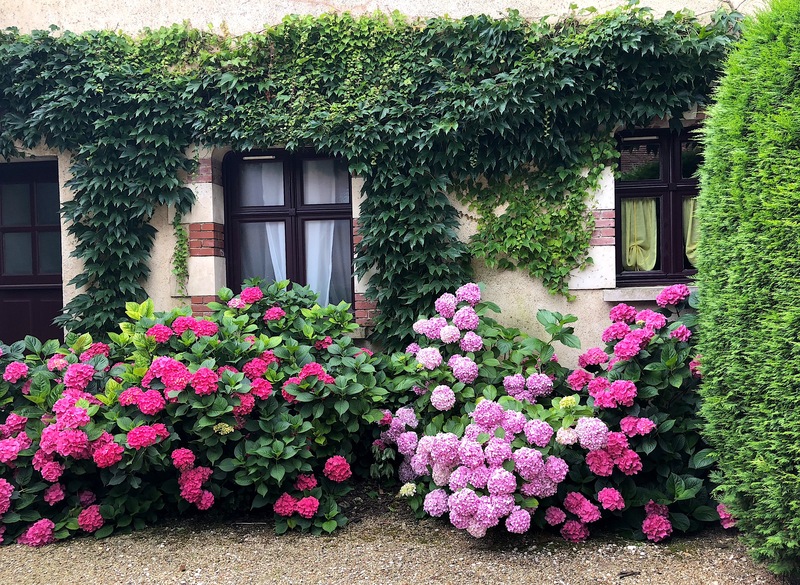 . .
To stay at a Bed & Breakfast in France which offers the country and the city as well as a local tour guide is hard to find, but that is exactly what you will discover when you stay at Le Manoir de la Maison Blanche in Amboise. Learn more and see my personal tour given by host Annick of the property and the town of Amboise here. In Provence . 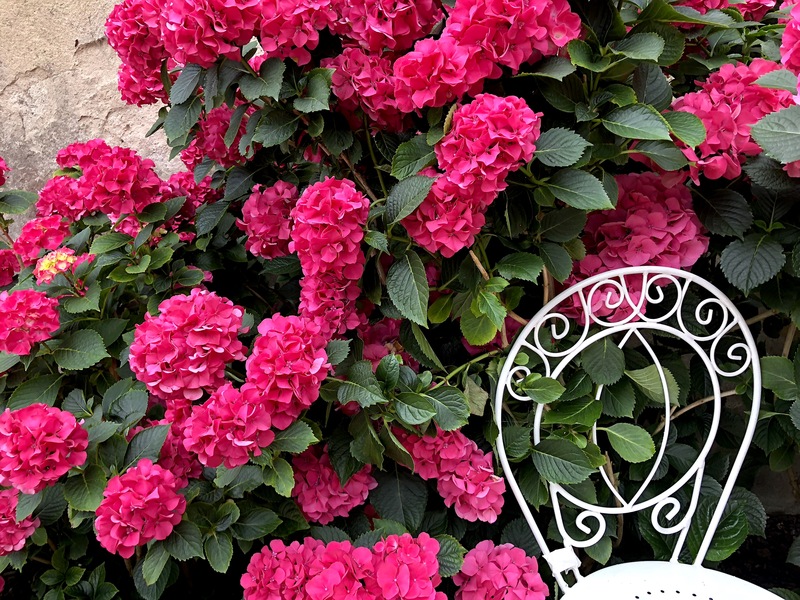 . .
As I shared in this post, the event that prompted me to officially plan my month-long Tour de France this summer was being accepted to attend Patricia Wells’ Cooking Class in Provence (you can view my entire week-long experience here). 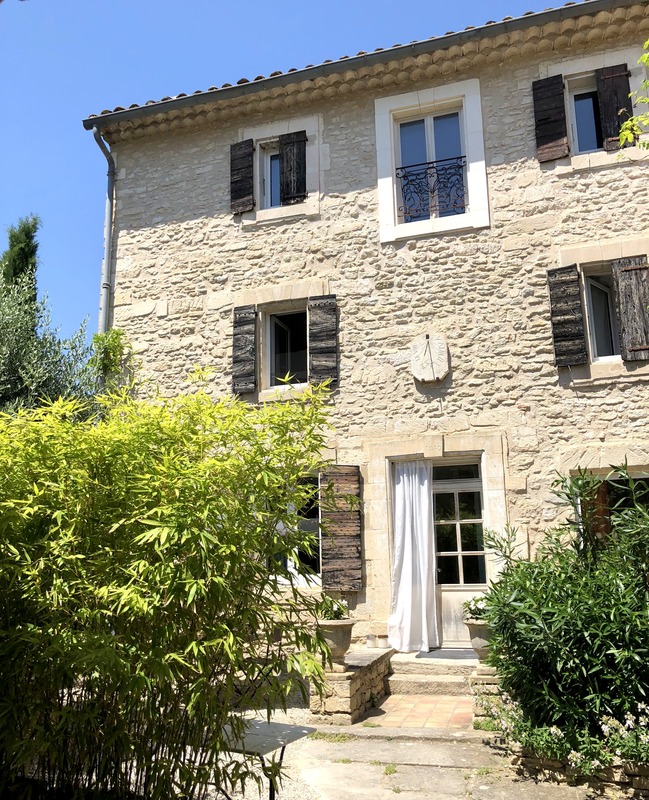 Upon being given a list of recommended places to stay, Patricia Wells’ staff included this recently renovated historical home in the medieval part of Vaison-la-Romaine (the part of the town I highly recommend you staying – but steel yourself for driving in it as the roads are VERY narrow. Or just park and walk up). More than 14 months in advance, I booked my reservation through VRBO and found the location to be ideal, the running of the fountain just outside my master bedroom’s 3rd story window put me to sleep with ease each night and the space perfect for one (or two or three or four). Have a look at the rental here, and below a few of my favorite pics of the space. 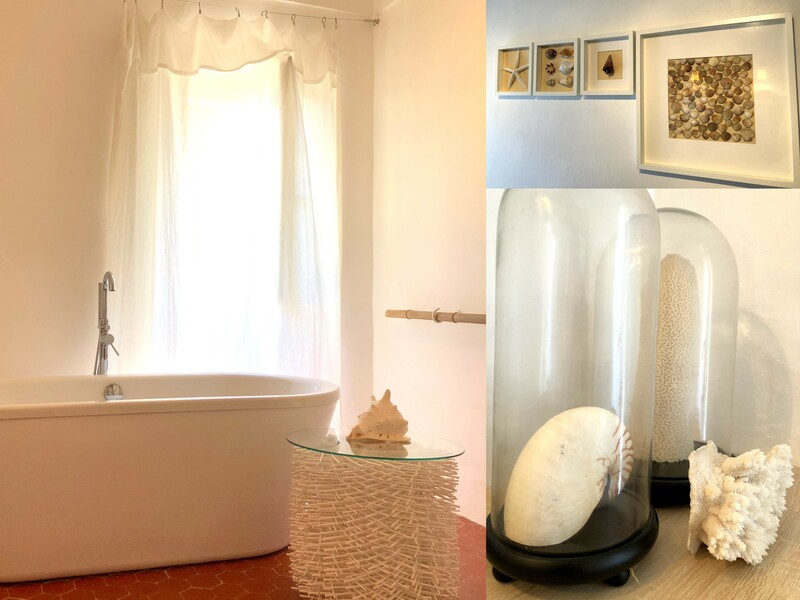 As I share below, my vacation rental in the Luberon is listed on Boutique Homes, along with endless other beautiful vacation rentals – some homes, some hotels, all unique, carefully designed and curated to your absolute comfort. I highly recommend keeping this site in mind for anywhere in the world you may want to travel, as it includes homes in countries beyond France. In the Luberon (a small region within Provence) . 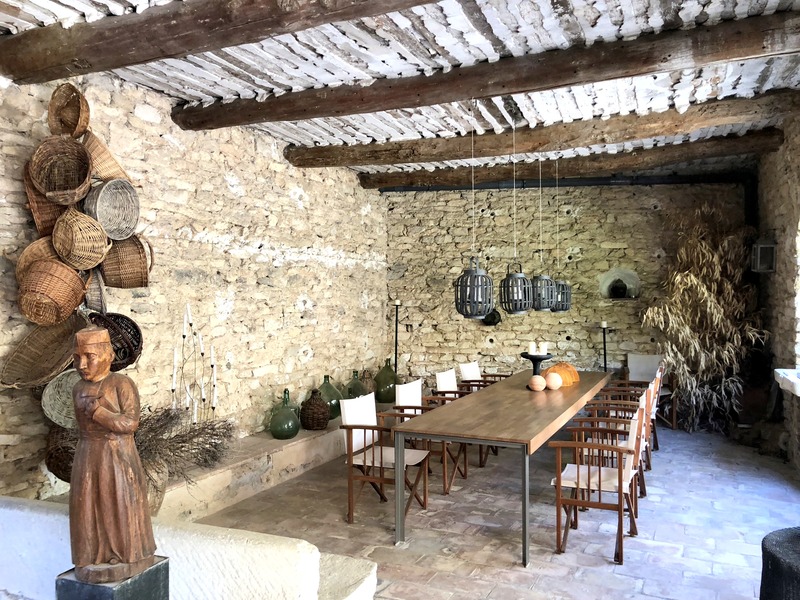 . .
During my second week in Provence, I drove to Gordes and just two miles outside of town with a view of Ménebres up on the hill found my next home-away-from-home, Villa Dæsch. Completely remodeled and decorated by the owners from the Netherlands, one of who is an architectural engineer, I think this was my favorite place to call home during my travels. I have written a detailed post full of interior an exterior pictures, so be sure to have a look. And that’s it! Aside from the hotel, finding these vacation rentals early – more than a year in advance was an advantage as most dates are available, and it also helps with the budget, as you pay a portion of the cost a year in advance (upon confirming the reservation). Most memorable were the people I met at each of these accommodations. As I was given my space and privacy to enjoy my holiday, I appreciated immensely and will not soon forget their hospitality, curiosity and kindness. I am in the process of finalizing our trip to Paris in October. I am considering a two- night stay in La Maison Blanche after reading this post. In fact I was able to talk to Annick this morning. She’s such a wonderful lady!!! I couldn’t wait to meet her. Thank you for sharing this gem !!! Jenny, She is truly a hard-worker and most welcoming host. Ask her anything regarding what to do for a special dinner, what to see, etc. and she will help you out. Have a wonderful trip in October. 🙂 And say hi to all of the animals! Shannon , I wondered at the time if your stay at the Chateau did not work out quite as you had hoped , as in your posts the day after the grand dinner party , you seemed to have encountered a situation which had distressed you, and you never commented on the evening after the event. As you haven’t mentioned it in this post either, I do hope that whatever occurred did not spoil your happy memories of your summer in France . 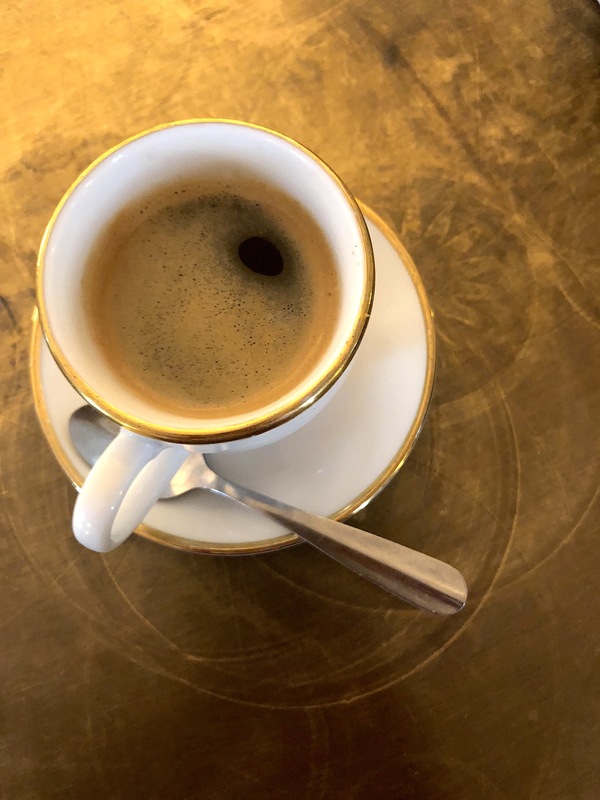 Thank you for all the recommendations, they look delightful, and I have so much enjoyed following you on your ‘ Tour De France ‘ this summer…………….and French week is the icing on the cake ! You are very perceptive. 🙂 All went fine, and I will always recommend what I sincerely believe and am confident my readers would enjoy. Part of traveling is exploring different places, and that was truly the gift of each stay whether I chose to recommend them or not. I’m so glad that it didn’t spoil things for you .